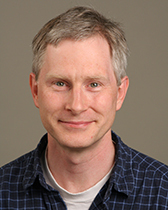 Mark Witte's research deals with applied questions in macroeconomics and public finance. His main interests are in consumption theory and topics in taxation. His teaching interests include macroeconomics, money and banking, public finance, and the economics of the environment and the extraction of natural resources. He has been voted onto the Associated Student Government honor roll numerous times in recognition of both his teaching and student advising. He has been honored with a Weinberg College of Arts and Sciences (WCAS) Distinguished Teaching Award, and a WCAS Distinguished Leader in the Undergraduate Community Award.